Trek Nation Special Edition DVD Review There is plenty of familiar material here if you are a part of the legions of fans. Though I would venture to say there is plenty here that the fan may not be aware of. For those with a passing interest in Hollywood history, this is also a must have on your list. 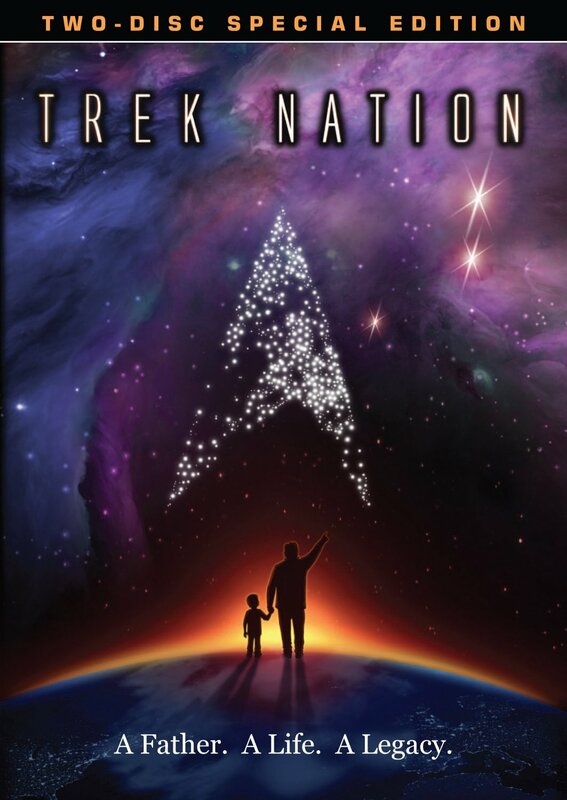 Trek Nation is about a journey of a man seeking to understand more about his father’s impact on the world, and also more about his father. Gene Roddenberry, the creator of Star Trek passed away in 1991. The man touched so many lives in his stories and his creation of Star Trek and its characters. There are so many stories about people becoming scientists, Doctors, Pilots and ultimately Astronauts because of Star Trek. Star Trek and the man Gene Roddenberry influenced the world in so many positive ways even to this day. Eugene Rod Roddenberry was only 17 when his father passed away. As a teen Rod never paid much attention to what his father was to the world nor what Star Trek was truly all about. Now as an adult Eugene Rod Roddenberry is on his own trek to understand his father and what Star Trek meant and still means to the world. Trek Nation is a mix of documentary and a journey of discovery. The feature follows Rod over a period of time as he makes a TREK to visit different locals, conventions, and interview different people along the way. The main focus seems to be split, not only in offering insight for the viewer as to what Star Trek and Gene Roddenberry meant to so many people. Also it’s a journey of discovery for Rod Roddenberry to know more about his father and also the creation that is Star Trek. For those of us that enjoy and love Star Trek in all of its incarnations, it may be rather hard to believe that someone that grew up around it did not fully understand the great influence the show and films had and continue to have on so many people. We see Rod as he does different interviews with his late father’s friends, learning about Gene Roddenberry’s back grounds his influences, as well as his all too human ways. No matter how uncomfortable it may be, and it does seem uncomfortable at times for some of the people being interviewed to tell some of some of the things they recall and events that took place. For fans and for folks wanting to know more about the history of Star Trek and the Man that created it, this peek behind the curtain of time and space is open and straight forward. Some of the behind the scenes interviews we see of Gene Roddenberry hit the viewer hard…. One particularly punches at your heart and soul as they talk about Gene’s health getting worse, and then showing him at a fatigued moment and having to take a break from an interview filming. The second disk is the place to find most of the special features that round out this collectable set. I am loving this, special features are always good when they have something to offer and is actual SPECIAL. The extras fit the bill. We get to see extended and it seems unedited interviews from the main feature. Infinite Diversity: The Fans of Star Trek, viewers get to hear from the fans. The people that have been affected by Star Trek and the vision of Gene Roddenberry. A Star Trek is Born. Writer and friend of Gene’s Christopher Knopf looks back and talks about how Gene first spoke to him about the idea of a T.V. show like no other. The features are rounded off with Star Walking, footage from Gene Roddenberry’s Hollywood Walk Of Fame star ceremony. Some home movies and picture in picture commentary from the producers. There is plenty of familiar material here if you are a part of the legions of fans. Though I would venture to say there is plenty here that the fan may not be aware of. For those with a passing interest in Hollywood history, this is also a must have on your list.